Tom Ford launched his third U.S. flagship this week with the unveiling of his Los Angeles location. His first was on New York&apos;s Madison Avenue in 2007, second in Las Vegas on Las Vegas Boulevard in 2009, with his newest sitting pretty on Rodeo Drive. "The Rodeo Drive store is a distinct departure from the darker and more masculine environment of the 28 existing units worldwide" reports WWD. 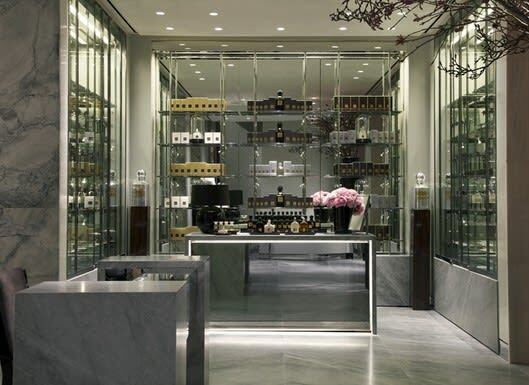 The two-story shop features a perfumery that houses Tom Ford Beauty and fragrances, a women&apos;s floor, and a men’s salon laced with a fireplace and mirrored wall. The man&apos;s castle sounds about as opulent as it can get.